The beaches of the Costa del Sol are one of the biggest attractions for tourists. A paradise bathed by the warm waters of the Mediterranean Sea. An extensive coastline between Nerja and Manilva. Where the sun shines for more than 325 days a year. 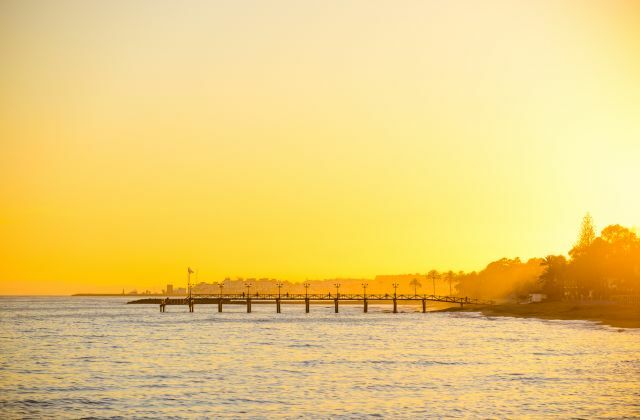 150 kilometres of beaches that you can go on foot or by bicycle, along the coast line. The Malaga coast has endless beaches for all tastes. Extensive sandy beaches that invite you to take long walks along the seashore. One of them is Los Álamos Beach, in Torremolinos. Small coves like Playa de Maro, in Nerja. Ideal to spend a more intimate and natural day at the beach. Urban beaches where you have all kinds of services and amenities. Among them is the La Rada Beach, in Estepona and El Faro Beach in Marbella. You will also find ideal beaches for water sports and nautical. As well as the Arroyo Totalán Beach, ideal if you want to bathe with your dog. 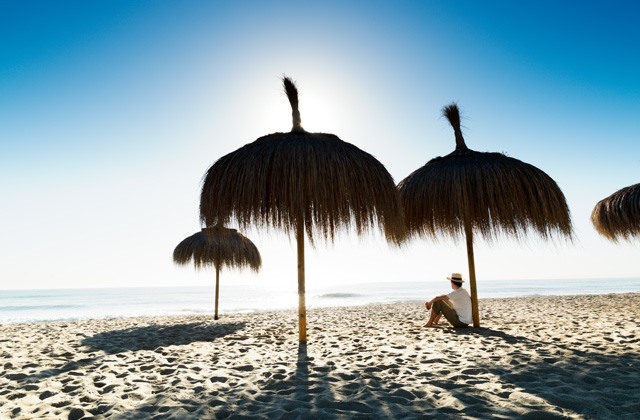 We invite you to take a tour of the best beaches in Malaga. Beaches distributed by the most touristic Malaga municipalities. 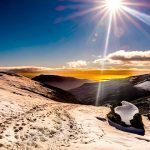 Destination of national and international travellers, who seek to sunbathe, play sports and enjoy the varied and healthy Andalusian gastronomy. La Carihuela Beach, in Torremolinos, is famous for its good restaurants. 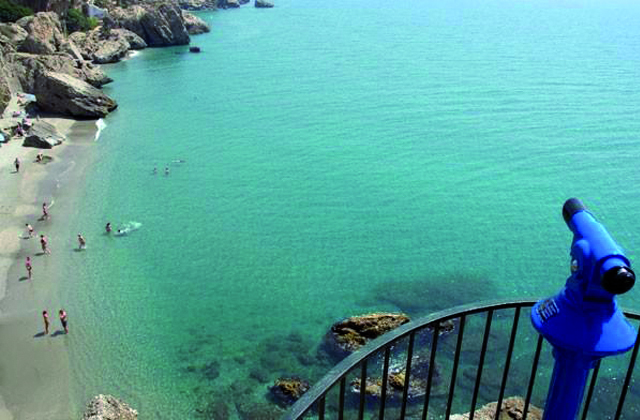 This beautiful cove located in the town of Nerja, Málaga is one of the most highly rated in Andalucia. Its cliffs and rock formations give a wild look that captivates all who visit. This place is full of romance and is bathed by the Mediterranean Sea, so don’t miss if you want to spend a few days in the sun. Accompanied by some beautiful traditional Andalucian villages, including Frigiliana, you will breathe Arabic air at the foot of its dark sand. A dream destination which enriches the area east of the Costa del Sol. 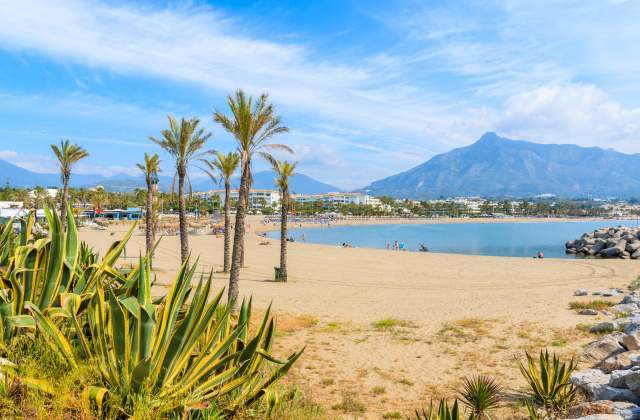 This sandy beach represents one of the best known on the Costa del Sol and there is a nudist area. If you want to swim in the fine sandy Mediterranean in direct contact with your skin, visit this beach where you will be free of problems and worries. Located in a protected natural area are the Artola dunes, an exquisite opportunity to read a good book in the sun in the middle of this unique natural landscape. 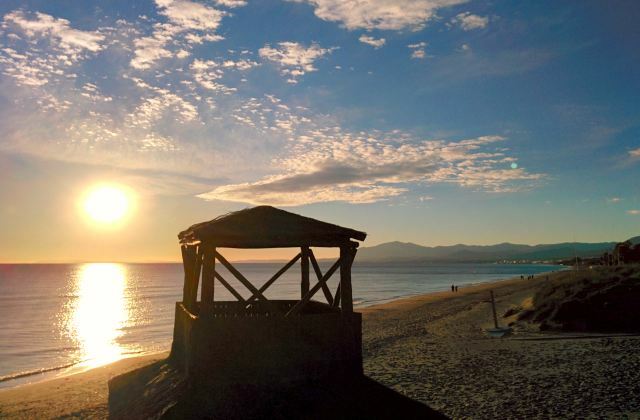 On your holidays at the beach, don’t forget that at the end of the Fuengirola promenade is the unique Carvajal beach. This part of the coast is urbanized and so you can mix sunbathing with a cold beer while enjoying the sea. The fine golden sand is one of the most prominent attractions. This beach is ideal for groups as you can walk metres and metres without being covered in water, ideal for little kids. Don’t forget to remember this part of the Costa del Sol which is great for rest and relaxation. 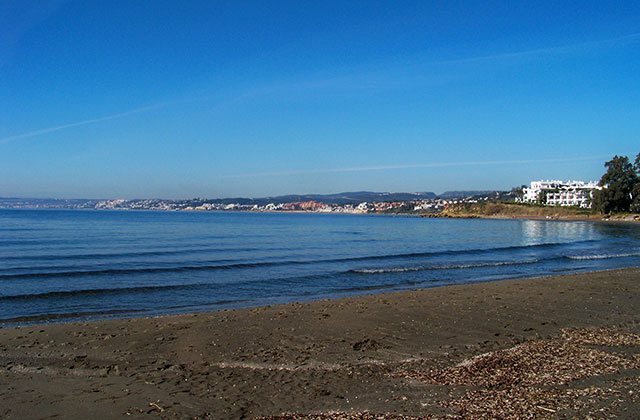 La Rada beach at Estepona has also been awarded the Blue Flag. Its fine grey sandy coastline makes this an ideal place to take your towel and relax under the sun. One of its great advantages is that it is a stone’s throw away from the town’s main streets, being very comfortable for those who wish to visit the town after a day on the beach. The promenade extends along its entire three-kilometre length where all kinds of activities take place in the summer months. 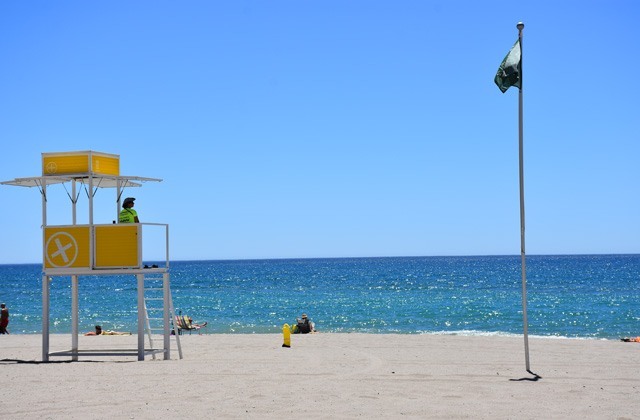 The quality and cleanliness of its waters have been the keys to the Torre del Mar beach winning the Blue Flag. 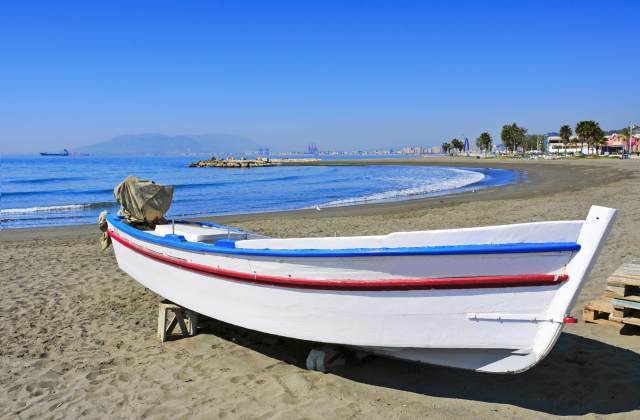 This Málaga coastline is ideal if you are travelling with your family and children. A perfect plan if you just want to relax while the kids play in the sand and enjoy a summer dip. In this area, you can also find bars where you can sip a beer or eat some fish tapas. 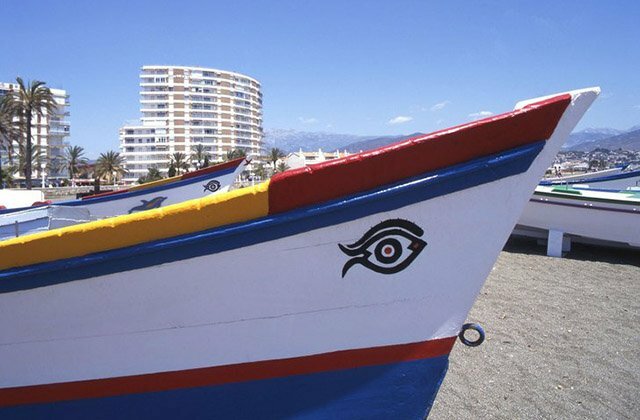 Marbella received seven blue flags this year, the Andalucian town with the most of this type of award. One of the award winning beaches is El Faro located in the heart of the city. This place is small but has a great atmosphere in summer. Near the Marina, there are also a lot of seafront restaurants where you can sample typical Andalucian tapas. 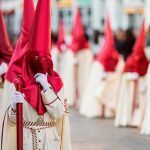 In addition, its location gives you the possibility, after taking a dip, to walk through the city to have a coffee in the shade of the orange trees (“naranjos”) in the main square named for them. 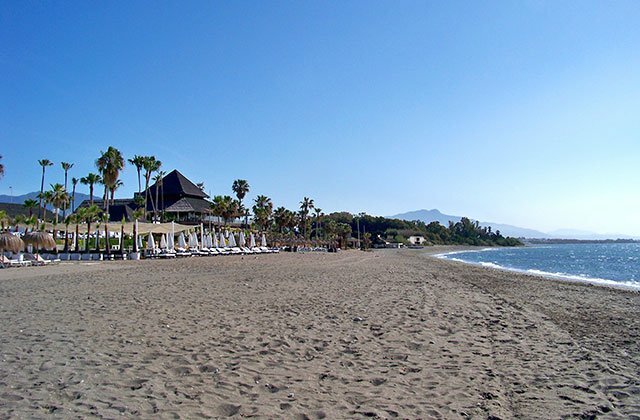 El Faro is one of the main unmissable beaches of Marbella. This beach is 2 kilometres from the town and is one of the most visited locations. The hospital group Hospiten is located a few metres away and the area of El Padrón has a shopping centre that you can enjoy if you like. Restaurants, snack bars and all kinds of stores are at your fingertips, a few metres from the sea. The waters of this beach are mild and the sand is fine, making it ideal for children to take a bath and play with the lilos. 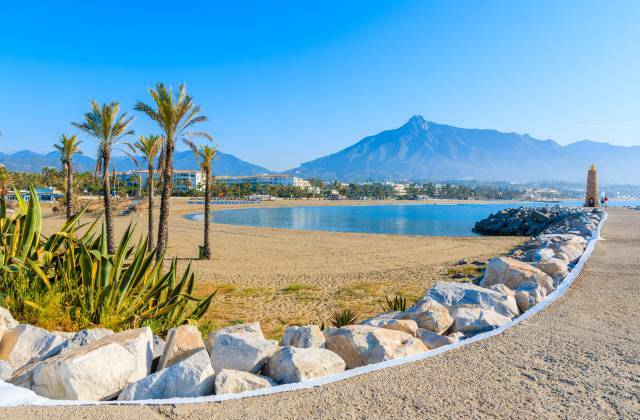 La Bajadilla beach marks the beginning of the Marbella promenade and is located right next to the fishing port. Its width and shallow depth make it suitable for kids, but it is important to remember that there are some stones when entering the water. It is one of the busiest beaches in town. This part of the coast carries its blue flag as a symbol of the quality of its waters. Here you can also find a wide range of services that make this urban beach one of the most comfortable in the city. Do not hesitate to come to this area if you are in Marbella, especially if you do it together with your children. 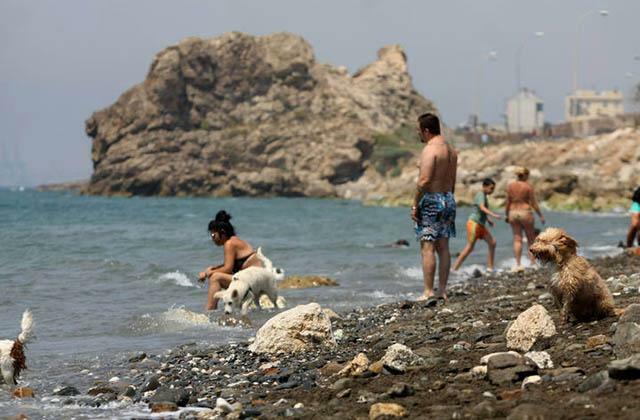 The largest beach for dogs in the province of Málaga is located between the capital and Rincón de la Victoria. The Arroyo Totalán covers 14,000 metres for the enjoyment of animals. Both municipalities have made improvements in the place and it has become an oasis for families and animals. Don’t hesitate: take your pet out for a day by the sea. Remember to respect the rules of hygiene to keep the sand clean and safe so that there is no problem with any of the dogs. Apart from this, just concentrate on playing and having a good time. 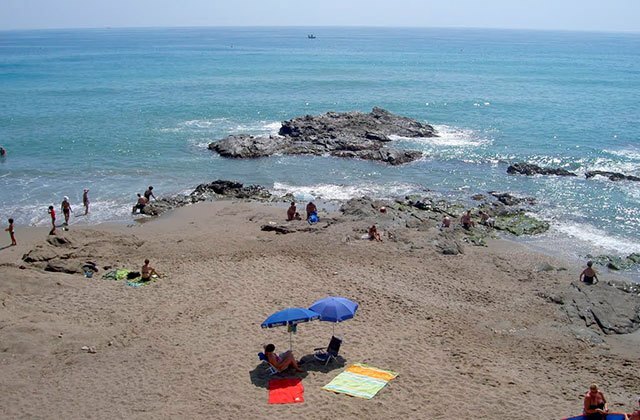 The beach of El Faro in Mijas is located in La Cala and is a corner of the Mediterranean barely explored by tourists. This part of the coast is where you can mingle with residents of the municipality who want to get away from the crowds of umbrellas and towels found on other beaches. Here you can relax in cool water with a full panoramic view of the Costa del Sol. An ideal place for relaxation where you can disconnect from your worries. A beautiful semi-urban beach with a privileged location below the renowned Balcony of Europe in Nerja, with wonderful views of the entire coast. Its calm, crystal clear waters and dark sand make it a small paradise surrounded by large rocks worn away by the sea. To get to the beach, cross by going down along the “boquete de Calahonda,” a passage on the left of the Balcony of Europe, which is steep, but not too tiring. It has a lifeguard, parking, rubbish bins, showers, hammocks for hire and refreshment stalls. Recommended for families and anyone who wants to enjoy a unique atmosphere and one of the most beautiful sunsets. This is located in the municipality of Rincón de la Victoria and is an urban family beach that is 4,265 feet long by 130 feet wide, with moderate waves and gravel and dark sand. It is very popular and has all the amenities of an urban beach, including hammocks, deckchairs and umbrellas for hire, bathrooms, showers, parking and a promenade. Ultimately, it is an excellent option if you are looking for something more relaxed. Its length means you can find a good spot to enjoy your day at the beach in the peace and quiet of a relaxed small town atmosphere. Located on the eastern coast of the city of Málaga, between Baños del Carmen and Palo Beach, it has dark sand and is 3,937 feet long by 66 feet wide. 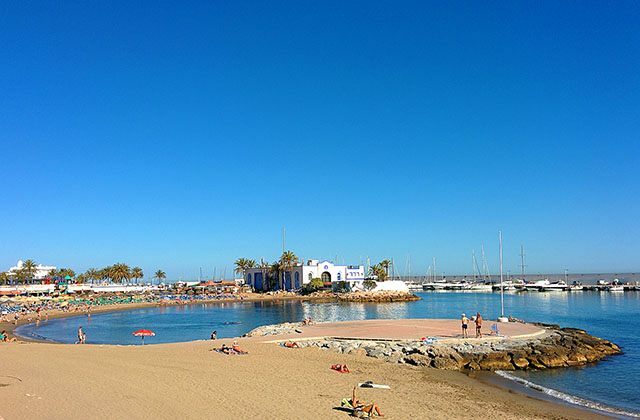 Next to the beach is the old fisherman’s neighbourhood of Pedregalejo and a promenade full of restaurant and bar terraces specialising in fish and seafood that sit alongside grill stalls preparing traditional espetos de sardinas or grilled sardines. 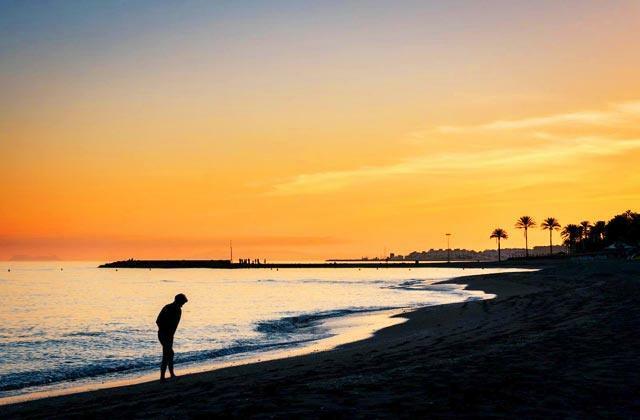 Sunsets with a unique charm, a place that you definitely cannot leave off your tour of the Costa del Sol. Accessible and popular urban beach known for its fine dark sand and moderate waves that are great for swimming. 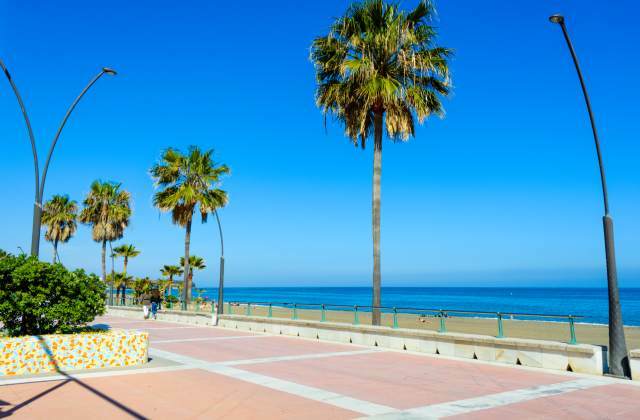 A family beach that is 3,609 feet long by 131 feet wide located in an urban area between Punta de Torremolinos, which separates it from Carihuela Beach to the south, and Playamar Beach to the north. It has a promenade with all the usual amenities and also offers water sports. 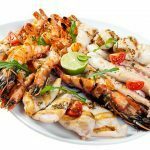 When you mention Carihuela Beach, people associate it with the best cooked fish in the area and its local restaurants have created a famous tradition of the best gastronomy. Located at the western end of the city, it is 6,890 feet long and 131 feet wide and stretches as far as Benalmádena Marina. It has areas with palm trees and grass that provide visitors with good shade. It has all the amenities that make for a perfect day on the beach, enjoying the sea, sun and good food. 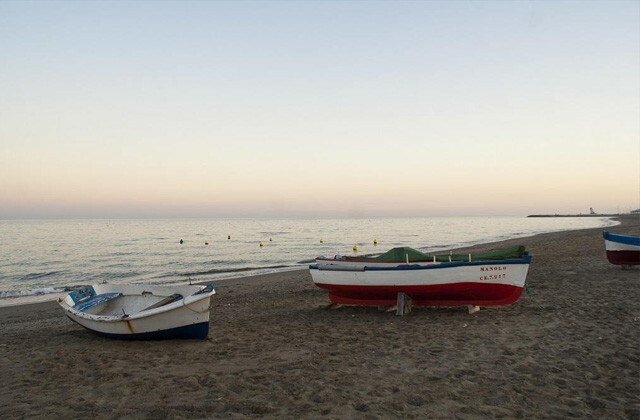 Álamos Beach, also known as El Cañuelo, is a semi-urban beach in Torremolinos with golden sand and moderate waves. 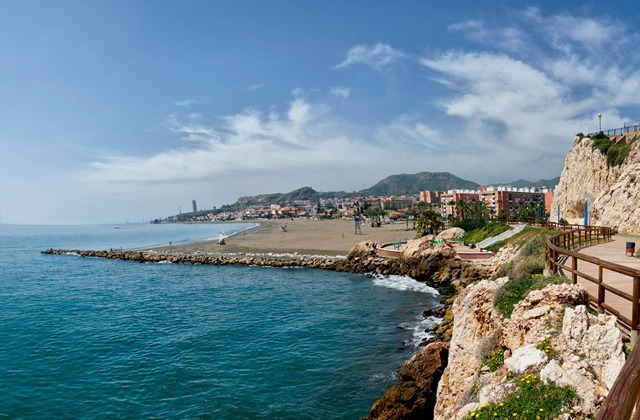 It is located at the northern end of the city, between Playamar Beach to the south and the border with the municipality of Málaga to the north. It is around 4,921 feet long and 197 feet wide. It is a beach that attracts a decent number of visitors, since it is furthest from the city centre. 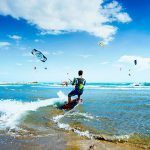 It is also very well known for kite surfing activities that are helped by the good winds it enjoys. In early 2004, a new promenade measuring 4,747 feet long was opened, with street furniture, trees, bushes, public carparks and underground sanitation and communications infrastructure. Located in the very heart of Benalmádena, next to Arroyo de la Miel Beach, this constitutes one of the most popular areas. It owes its name to Bil Bil Castle, a building dating from 1927, which is Arabic in style with red mortar and decorated with tiles and low reliefs, that has become an icon of the municipality and the entire Costa del Sol. Bil Bil Beach has dark sand and calm waters and is 1,312 feet long by 66 feet wide. It is popular and enjoys a privileged location, making it the perfect destination that, along with its promenade, enables its entire coast to be visited while taking in the beautiful views. Its leisure options include La Paloma Park and Selwo Marina. Estepona enjoys a privileged location. A valley protected by the Mediterranean Sea on one side and the heights of the Sierra Bermeja on the other, it offers visitors over 12 miles of beaches with an excellent climate. It is next to Estepona Marina. Cristo Beach has a very special feature when the tide picks up, which attracts a lot of visitors because a pretty cove is formed that is protected from the wind and also has few pebbles, making it especially good for children to enjoy. It has all the usual amenities, along with refreshment stalls and a family atmosphere. 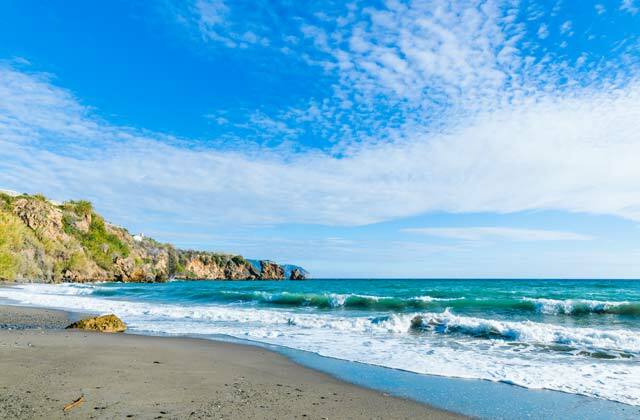 Torreblanca Beach, also called Los Olimpos Beach, is located in the municipality of Fuengirola and is a few steps from Benalmádena. It is an urban beach with dark sand and calm waters located in the north of the city. It is around 3,937 metres long and 66 metres wide, and is accessible from the promenade. It is a popular beach with all the usual amenities of urban beaches. Its most outstanding feature is its spacious long bathing zone and another horseshoe-shaped bathing zone that goes into the sea, due to some narrow breakwaters that have been built. If you go with children, this beach will be perfect since there are no excessive waves. Sabinillas Beach is in the municipality of Manilva. It is an urban beach with dark sand located between Puerto de la Duquesa and the River Manilva. It is around 5,577 feet long and 164 feet wide. The mouth of the River Manilva marks the start of this beach, where apartment blocks have been built, making it a true tourist neighbourhood. It is a very popular beach that is accessible from the promenade and has all kinds of amenities. The waters are usually calm, making it good for children. This beach usually receives recognition for its quality each year by being awarded the Blue Flag. 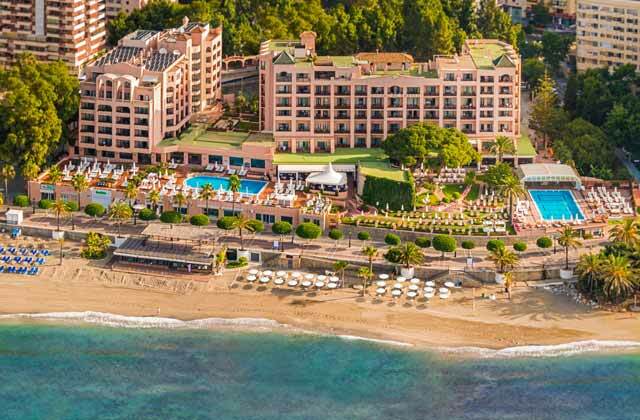 The beach of Puerto Banús is located in the town of Marbella, more specifically it is located in the most exclusive marina of the Mediterranean Sea and, with total security one of the most important luxury centres in Europe. This beautiful beach looks directly at both the beach of Rio Verde, and the mountain of La Concha. This beach combines many attractions both services level, since here you can find many beach clubs, cafes, etc. as leisure because in this place the glamor finds its natural habitat and the celebrities of half the world walk through its terraces and shops. The beach of Burriana, in Nerja, is considered the best beach in the Axarquía and although it has difficult access, it is very worthwhile, since it has all the services you may need, we especially emphasize the rental of watercraft as jet skis, pedal boats or kayaks, in addition there is also a diving centre where you can enjoy the fauna and underwater flora of the area. As a curiosity we must say that this beach also has a library where you can borrow a book to read while enjoying your day of sun and sea. 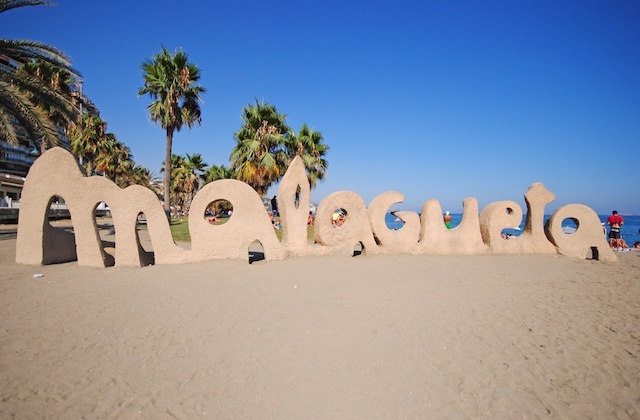 La Malagueta beach, located between the Port of Malaga and the beach of La Caleta, receives this name due to the neighbourhood where it is located. On this beach when the hot season starts we can find the typical services of sunbeds, umbrellas and pedal boats, besides being very close to the centre there are a large number of restaurants to choose from. It also has a playground for children to entertain. And keep in mind that Pier One is a stone’s throw away from this fabulous beach. 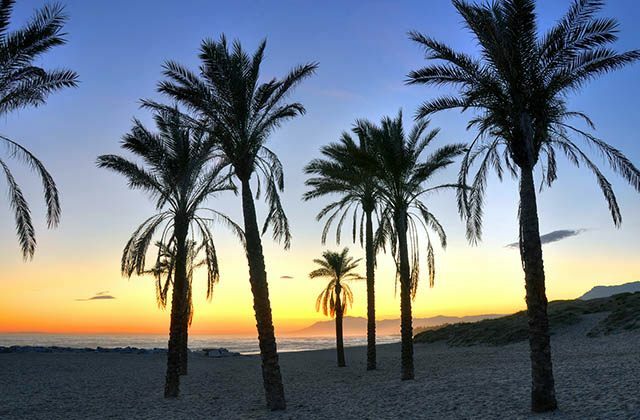 Real de Zaragoza is one of the best beaches in Marbella, for the quality of its sand, for its services and especially because thanks to its extension and which is about 13 km from the city centre, guarantees that, even in the height of summer, you can enjoy a quiet day at the beach. The beach of Nagüeles is located in one of the most VIP places in Marbella, in the well-known Milla de Oro, so it has the most exclusive services (there is even the possibility of renting luxury yachts) and with the best restaurants in the vicinity. Also nearby is the Puente Romano tennis club, a national sporting reference, not for nothing did the Spanish tennis legend Manolo Santana direct him for 15 years. 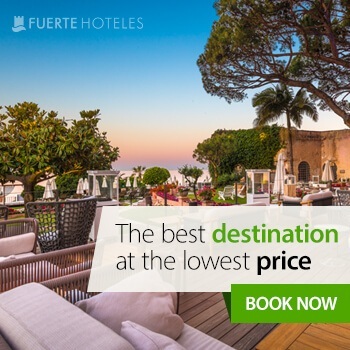 The best option for accommodation on the Costa del Sol and seeing its beaches is undoubtedly Fuerte Hoteles. The chain has branches where you can enjoy the best of each area throughout the province, in addition to its services. Its more than 60 years of experience are the best guarantee. Marbella, Estepona, or Torrox are some sites where you can find this amazing accommodation.